HomeOutdoor ClothingDon’t like taking the kids out when it’s cold? 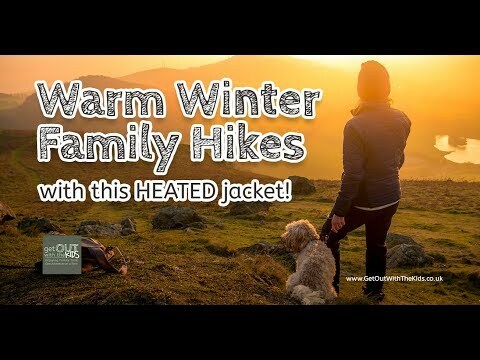 Try the 8k Flexwarm heated jacket! Don’t like taking the kids out when it’s cold? Try the 8k Flexwarm heated jacket! Winter hiking can be great, especially when the air is crisp, the sun is out, and the everything sparkles in the frost. The downside, of course, is that it’s cold. Sometimes, very cold! Like a lot of other mums I know, I tend to feel the cold. I always make sure I have a right amount of layers on, but sometimes, I feel a bit like the Michelin Man when I’m all wrapped up! 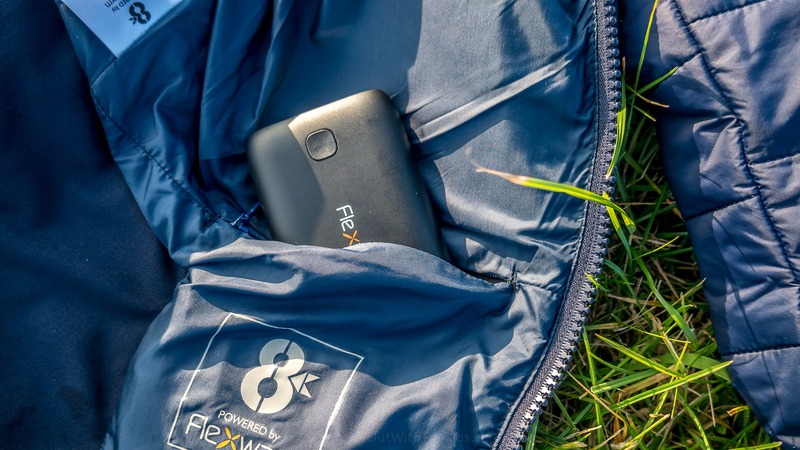 8K Flexwarm got in touch recently to tell us about their latest invention: the 8k Flexwarm heated jacket. With the cold weather upon us, I couldn’t turn down the opportunity to test out this jacket! First off, the jacket itself, even without the heating, is really good. It’s quite a snug fit, with elasticated cuffs and waist, and a high collar, which all help keep the heat in. It’s also water resistant and breathable. I think the women’s jacket is quite stylish. You can also get a gilet and hooded jacket, plus there are heated jackets for men too. The jacket comes with a USB power bank. The same sort of thing that you charge your phone with. The Flexwarm power bank has two USB ports. It can power the jacket and charge your phone. This has a special pocket inside the jacket. You just plug the jacket into the USB charger. You can also use the power bank to charge your phone at the same time, as it has two USB ports. The power bank has a special pocket inside the heated jacket. 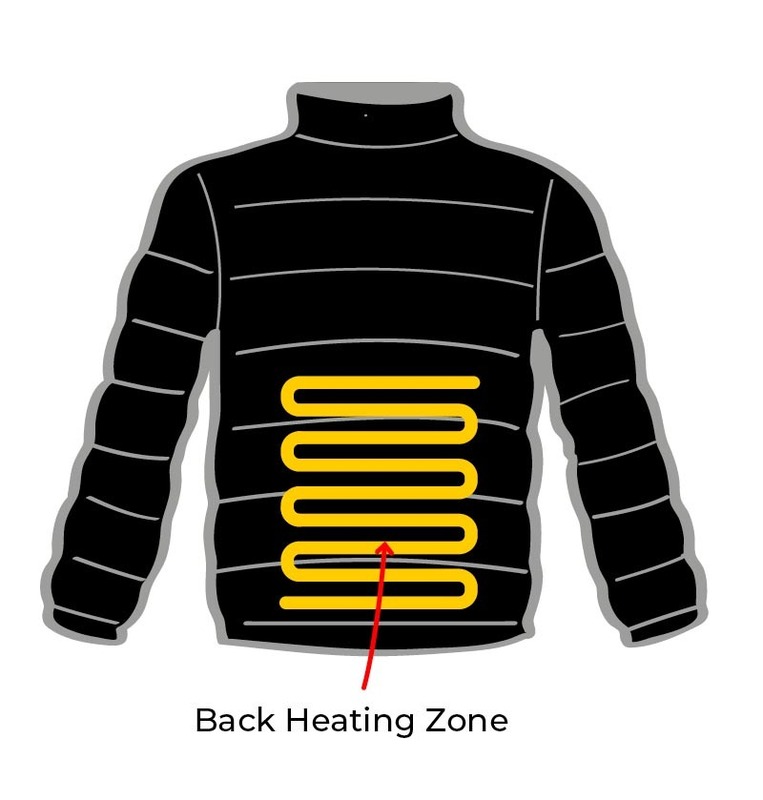 The 8k Flexwarm jacket has 3 heating zones: two at the front, either side of the zip, and a large zone on your back. You can feel the heating zones embedded in the jacket, but they don’t feel bulky and heavy. 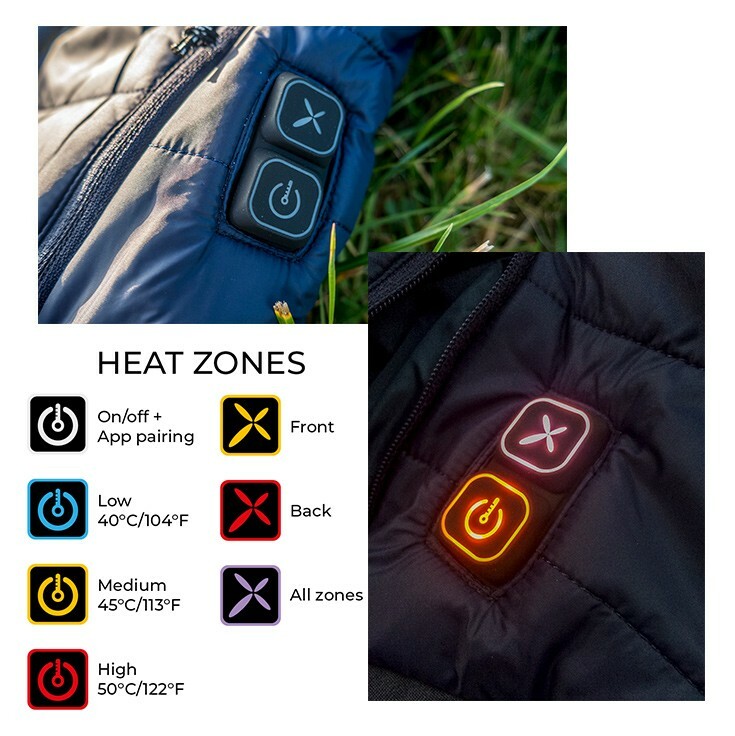 You can control the temperature of the heated jacket, and which zones are heated, with two buttons found on the side of the coat. These buttons light up to tell you how hot and which zones you have set. The buttons on the jacket set the temperature and which zones are active. Here I had all zones of the jacket keeping me warm on a medium heat setting. 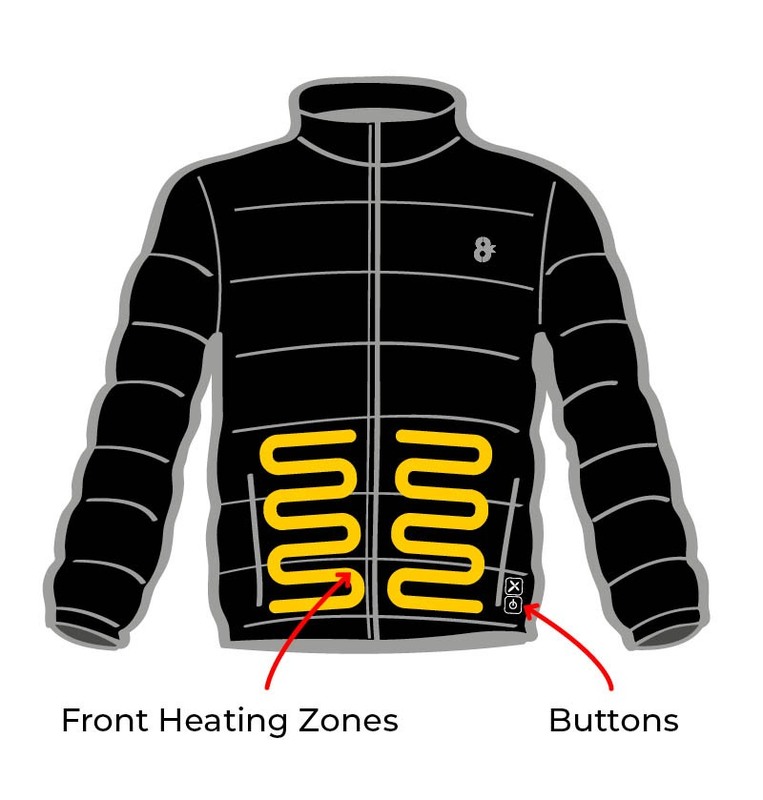 The Flexwarm jacket uses Adaptive Sensor Technology (AST), which adjusts the heating to how cold it is and how warm you are, avoiding it overheating you or draining the battery. After three hours on the hills, the power bank had only lost one bar of charge. 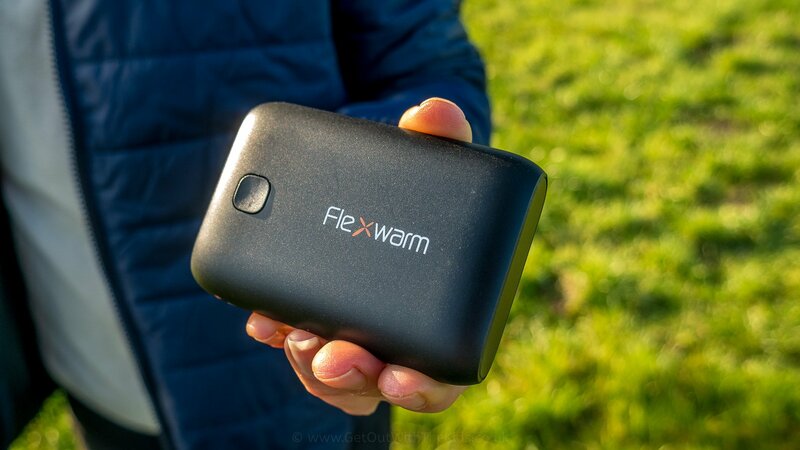 You can also pair your phone with the Flexwarm app to get much more precise control of your jacket. To pair, you simply hold down the button with the Flexwarm logo on the jacket, and click pair in the app. It will then connect to your jacket and you can see temperature and adjust it. 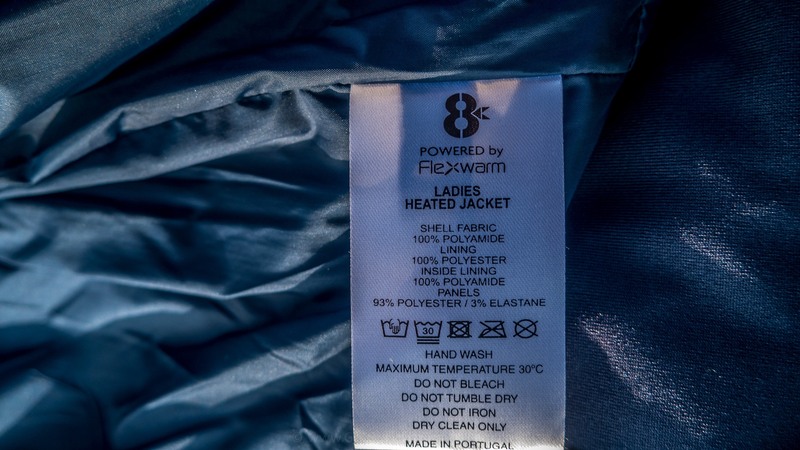 The 8K Flexwarm heated jacket is washable. With the sun shining, and the cold wind blowing, we set off up our local hills. At first, the temperature of the jacket wasn’t that warm. I noticed the heat most when I had my hands in the jacket pockets. That was another great feature: warm hands! That was another great feature: warm hands! After I worked out how to control the temperature correctly, the jacket quickly became hot. As we climbed the hills, the maximum temperature was far too hot! If you’ve ever sat on a heated car seat, then that’s a bit like wearing the 8K Flexwarm jacket. It wraps the heat around you, keeping your core warm. Not bothered by the cold wind at the summit! I like the 8k Flexwarm jacket. 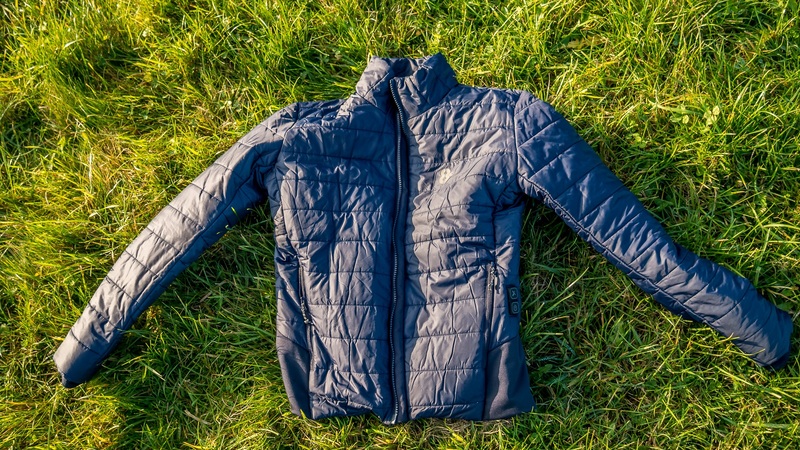 Yes, it is expensive, but if you’re looking for a good technical jacket that will keep you warm without ending up looking like the Michelin Man, then you’ll be paying a similar price anyway. It certainly gets the thumbs up from us. There are other colours and styles available. Click here to view them on the 8k Flexwarm website. 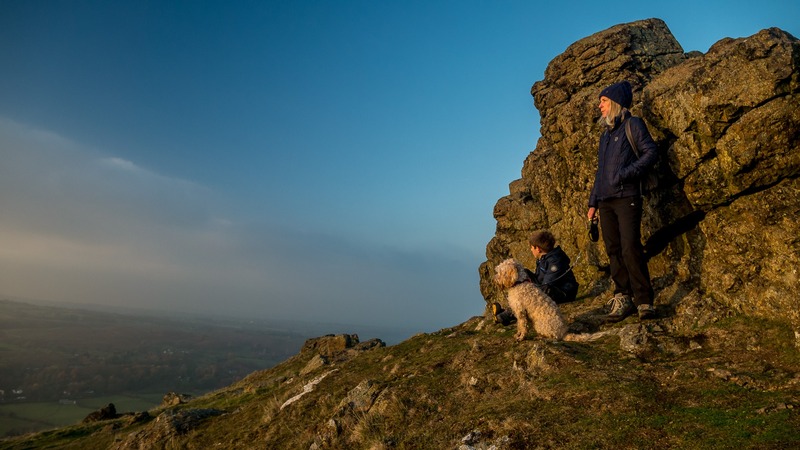 Disclaimer and Thanks: This post was created in collaboration with 8K Flexwarm, who provided a heated jacket for review, but all views and opinions expressed are our own. Some links in this post are affiliate links. This means we may receive a small percentage of a sale if you click these links and purchase a product, but that doesn’t affect the price you pay. I enjoyed wearing this jacket. Although it appears a bit of high-tech gadget, it's really simple to use. This jacket really does keep you warm. It can also charge your phone. It is expensive, but so are similar technical jackets without built-in heating. Videos: Don’t like taking the kids out when it’s cold? Try the 8k Flexwarm heated jacket! Mum to three kids and loves getting out and about with them. Co-founded Get Out With The Kids to help other parents enjoy getting out and about with their kids. You can often find Shell on Twitter @GetOutKids.